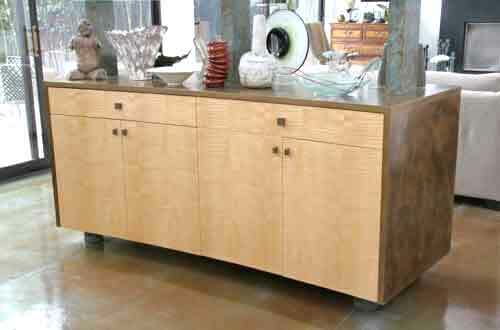 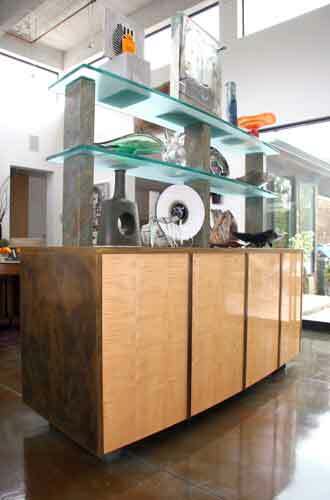 This cabinet and shelves were designed to act as a room divider separating the dining area from the living area. 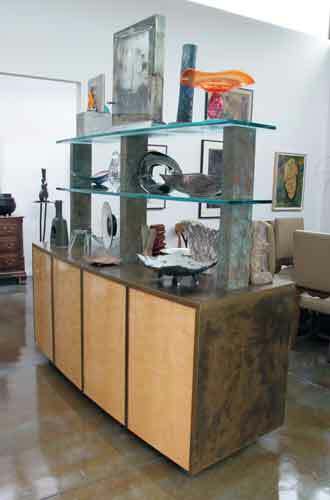 The piece was also designed to display art from the clients extensive art collection. 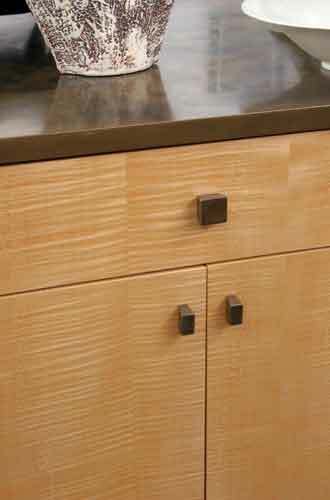 The cabinet is sheathed in bronze with a brown patina. 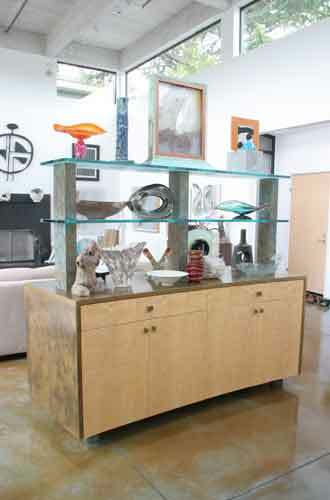 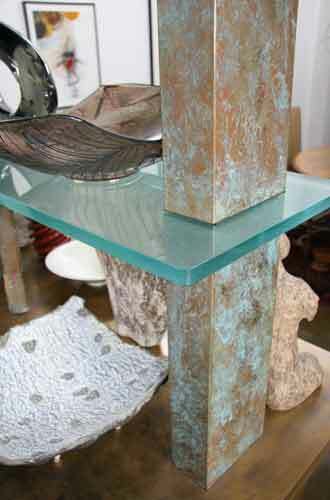 The wood used is a figured sycamore and the etched glass shelves are supported on fabricated bronze columns.